Adam May has turned down the opportunity to join the Hawks on loan in favour of competing for a first-team place. 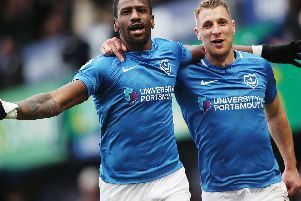 Here readers at portsmouth.co.uk and on our Facebook page give their reaction to the young midfielder’s decision….. I don’t really understand why he would have rejected a loan move. You’d have thought going on loan until Christmas as another club would have been a good move? Having seen how the midfield played on Saturday, may be he thinks he can get a game.I say good luck to the lad on whatever course it takes! I can't believe he's turned down loan moves to enhance his career. He has virtually no chance of making the first team this season or in the future. In my opinion, he is just not good enough at this or a higher level. I think they will off-load him when his contract expires if he's still happy to train and take the wages. At present May is doing himself no favours with lack of game time to get himself noticed. I’m not sure I see him ahead of Naylor, Walkes, Ben Thompson or Clos. A loan would help the young lad. Just another example of why the squad is too large. Another one of our home products not getting a game even though deemed good enough by KJ. He made good progress last season and should be playing and improving again this season, not being pushed out on loan to the Hawks and then disappearing off the radar. So what's the point in having good youngsters coming through the system? Well done Adam for staying put. We can't both have a squad that gets every player time all the time and is deep enough to get through injury issues. Sending May out on loan to Hawks is a good idea because we can recall him if he's needed. Disgusting. Happy to sit around and bring in the money without having to work for it. As seventh choice for one of two places, you would have thought he'd want to go out and build up a bit of match fitness and work at improving himself. He is currently nowhere near good enough to be playing for us.